Sugatsune America prides itself in manufacturing and distributing high-quality cabinet hardware. Give us a call today! 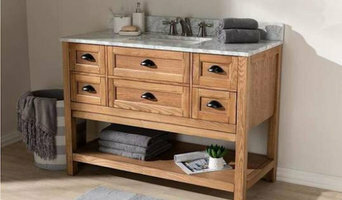 We are an online retailer providing beautiful bathroom vanities with a great customer experience. Come find your bathroom's perfect vanity! We approach each new project & client with respect, energy, openness & a ton of positivity. The spirit of collaborating with you becomes the root & inspiration for design and customer satisfaction. Crawford Supply is your one-stop shop for bath fixtures, kitchen fixtures, and plumbing and heating supplies. Explore the new KOHLER Signature Store by Studio41, a one-stop kitchen and bath showroom featuring products exclusively from the Kohler brands. This new concept store will offer a unique retail experience where homeowners and designers can try-out hundreds of products, hands-on; take advantage of expert design consultation services and step into fully designed suites featuring products from Kohler, Kallista, KOHLER Surfaces Tile and Stone & Kohler custom vanities. Since the company was established in 1930 in Tokyo, Sugatsune has developed a variety of cabinet hardware, including stainless steel ball-bearing drawer slides, magnetic catches and latches, and invisible door hinges. We have a rich tradition of manufacturing high-quality cabinet hardware. Every product has been tailor-made for use by architects, designers and builders, and they trust Sugatsune for reliability and quality when it matters most. Manufacturing the best cabinet hardware is only a part of our mission; we strive to ensure that our friendly and efficient customer service accommodates your needs. In June 2011, Sugatsune America, Inc. unveiled its first North American showroom located in the heart of Chicago, IL. We invite you to experience the Sugatsune line of products and understand how our features can bring your unique designs to reality. With over 5,000 products available covering Architectural Hardware, Soft-Closing Door Systems, and Builders Hardware, you are sure to leave inspired. We are proud to announce that we have moved to a new showroom location. Our new showroom address is 121 W. Wacker Dr. #1007, Chicago, IL 60601, where we will continue to serve our customers in the same friendly manner as before. Kitchens and bathrooms are the most renovated rooms in any Chicago home. Storage is a top concern in these rooms, so hiring Chicago, IL professionals to create and install custom cabinets in your home can be key to expanding your spaces and controlling clutter. 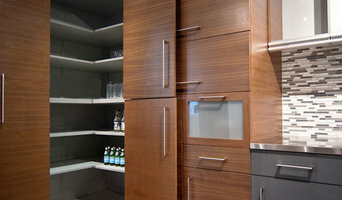 Use the Houzz Professionals listings to find Chicago, IL kitchen and bath accessory vendors. Don’t rule out asking a kitchen manufacturer’s design team for help, too. Skills often can be overlapped to save you time and money! Here are some related professionals and vendors to complement the work of kitchen & bath fixtures: Kitchen & Bath Designers, Kitchen & Bath Remodelers, Interior Designers & Decorators, Cabinets & Cabinetry. Find kitchen and bath fixtures and accessories, plus installation experts, on Houzz. Check out Illinois kitchen products and installers, and bath plumbing products and installers, on Houzz. 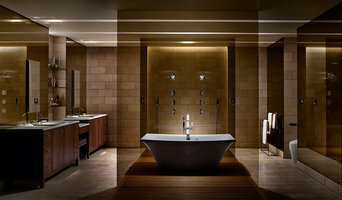 You can also look through project photos provided by Chicago, IL renovators, retailers and designers.